Optimum manual dexterity. Nylon back allows stretch and breathability. 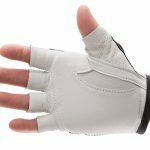 VEP padding in the palm protects from impact. 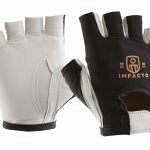 IMPACTO half finger glove. Nylon back with soft pearl leather palm. 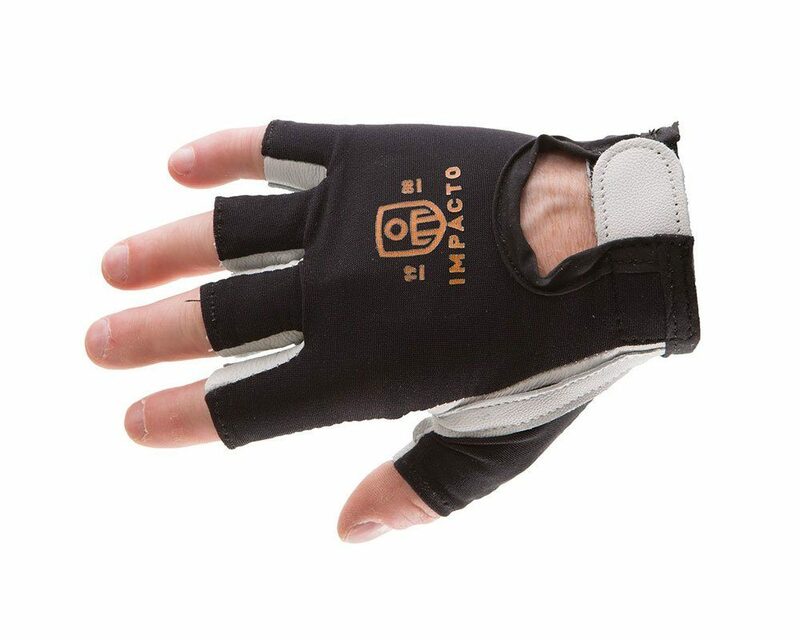 Impact absorbing visco-elastic polymer VEP padding in the palm. Adjustable hook and loop wrist closure. Gloves are available without leather for use in delicate operations or inside work glove or with leather cover for better abrasion protection. Suede leather ensures best grip. Grain leather is smooth and provides longer wear. Pearl leather is soft and ensures better dexterity. VEPs are solids that mimic the behavior of liquids, which allows dissipation of shock waves better than any other material. The “solid-liquid” nature of VEP absorbs shock waves in all directions at once, reforming to its original shape at a rate that is slow enough so as not to exert outward pressure that could cause reverberations, but fast enough to regain its original shape before the next shock.